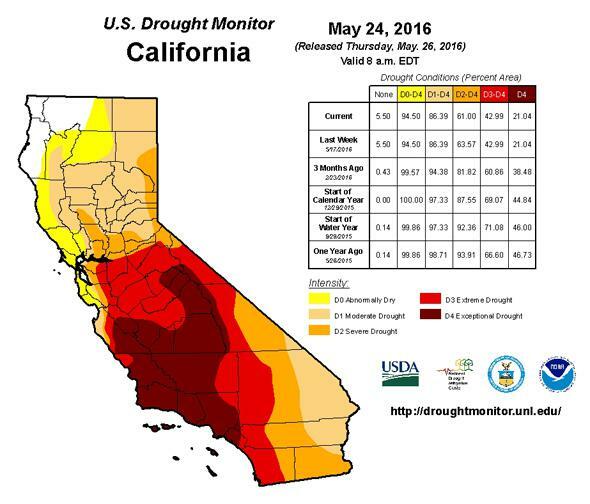 Donald Trump claims there is no drought in California. This is what sufficient water looks like to Donald Trump, apparently. At this point, it’s painfully clear that Donald Trump is incapable of telling the truth. Listening to him talk is actually rather amazing; just by the laws of statistics he should randomly say something accurate just once, at least by accident. On Friday, May 27, 2016, Trump was in Fresno, California to give a stump speech. In it, he talked about water and California’s enduring drought… or did he? If you listen to him, he doesn’t seem to think it’s a problem. When I just left, 50 or 60 farmers in the back and they can’t get water. And I say, “How tough is it; how bad is the drought?” “There is no drought, they turn the water out into the ocean.” And I said I’ve been hearing it and I spent a half an hour with them it’s hard to believe. Now it’s a little tough to parse that quotation, because he talks as if periods between sentences are a liberal conspiracy. A lot of people are quoting him as if he is saying there is no drought, but it could be that the “There is no drought” line is him quoting the farmers he was talking to. However, given the context, it’s clear he thinks this as well. Also in the full speech you can hear him quoting a farmer saying, “There’s plenty of water”. Where to even start with something so bizarrely nonsensical? To believe there’s plenty of water in California you’d either have to be a cactus or completely, utterly oblivious to reality. Because that’s grossly wrong. Grotesquely wrong. “There is no drought.” Oh, really? 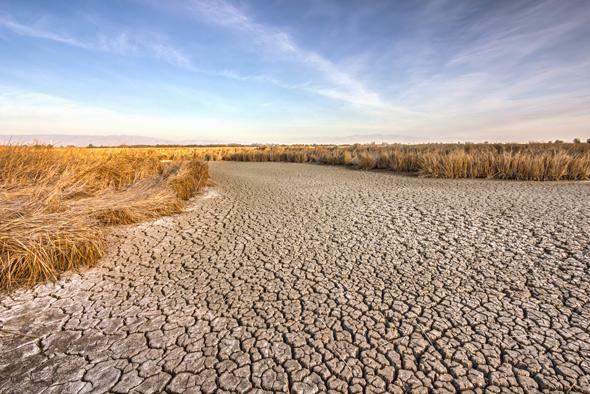 California is suffering a massive drought, and has been for years. As that graphic above shows, 95 percent of the state is at least abnormally dry, and over 20 percent is having an “exceptional drought”. That’s better than last year when over 40 percent of the state was exceptionally dry; a better snow pack in the Sierra Nevadas this year has helped in northern California somewhat. Still, many of the reservoirs are below average levels; some far below, and the southern part of the state is in dire straits (so to speak). Things are not good, and projections show the drought will persist through at least August. Probably far longer. So Trump’s claim that there’s plenty of water is just more of the lies he’s peddling. Part of what he’s talking about in that speech deals with water being diverted from farms to rivers to protect wildlife such as the delta smelt and salmon. That’s a very complicated and thorny issue, and I don’t pretend to have an answer here. But Trump certainly doesn’t either, and simply saying, “If I win, believe me, we’re going to start opening up the water so that you can have your farmers survive,” as Trump did in his speech, is ridiculous. The laws won’t let him do that, for one thing, and for another it’s unlikely to help in the long run. California simply doesn’t have an infinite supply of water. This is a situation that calls for a lot of political compromise, nuance, and long-term thinking. Trump has none of that. Yet Trump denies climate change even exists. He hired a flat-out denier as his energy advisor, and has made it clear he thinks global warming is a hoax. Indeed, that should be his motto. “Don’t even think about it.” Because, apparently, that’s the last thing he wants anyone listening to him to do.